Wow, that was one heck of a February. Bitter cold, freezing rain, rain, snow and general blah. And then all of a sudden the best winter riding conditions of the whole season. 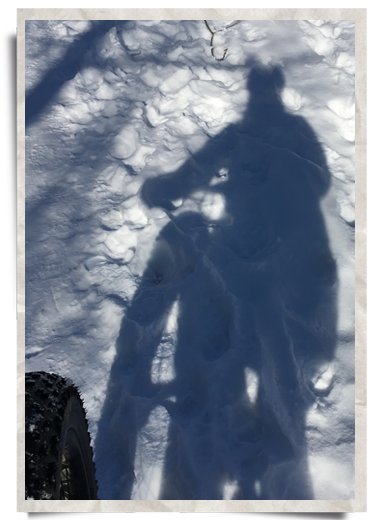 Out in late afternoon on the fat bikes on March 8th. Not too much ice, just the right snow conditions for lots of traction and -1C. Awesome. There is a fine line with the temperature and winter riding. Too cold and you freeze. Too warm and it is slushy. Looks like a repeat today so out again. Looking forward to another good ride in sunshine!